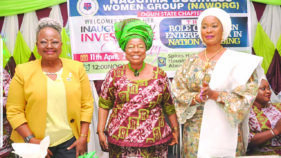 After her studies in Canada, Chief Chinwe Florence Ezenwa worked with the Federal Ministry of Transport, where she retired as a Director of Maritime Services. Nonetheless, it is in fashion that her name resonates the most as Chief Executive Officer (CEO), LE LOOK Bags. She is known for popularising the African print bag that has become the vogue of today. 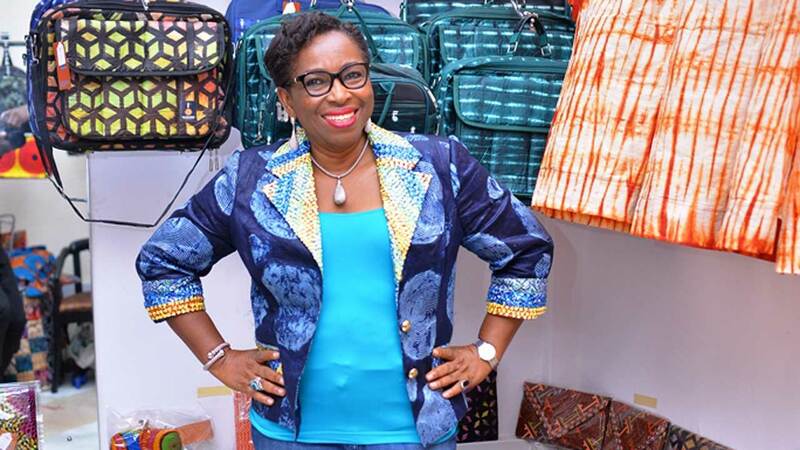 Her Ankara bags have graced major exhibitions around the world. 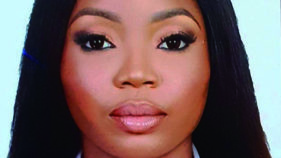 In this interview with TOBI AWODIPE, she explains how setting up a boutique to give a sense of livelihood to a physically-challenged brother metamorphosed into a vibrant enterprise. Tell us how Le Look started? I would not say I am the owner of the business but simply a tool God is using to drive it. The business was founded because of the need to rehabilitate my physically-challenged brother. He is deaf and mute. When I came back from Canada, he was unemployed and there was no opportunity to get him engaged. I enrolled him in a hairdressing school and I said to myself, that if he could not talk and hear, at least, he can see, and that was what brought about Le Look. When we opened some 35 years ago, my brother did not know how to book appointments with people. So, I had to employ some hairdressers, who were working with him to do some of these things. But my brother has moved on. He is now in the United States of America doing great things with hair. I had to take over Le Look when I retired from the Federal Civil Service and it has metamorphosed into what we are seeing today. What brought about the diversification because Le Look, which started out with hairdressing, is today known for bag making? When we started, it was a hairdressing outfit at my house at 1004 Estate, Victoria Island. But the neighbours complained that we were disturbing them. That was when we moved to our present premises. In 1995, we ventured into bag-making. This is also as a result of my younger sister, who actually has a challenge. In my family, we are seven, and two of us have challenges. That was how we got into the business of making bags. I promised to make that one great also. Empowering youths and creating jobs for people who would otherwise not have had anything to do as well as promoting Nigerian-made products. Our greatest achievement is not just popularity, which has transcended Nigeria but empowerment of youths and women, its creation of jobs for people who ordinarily will not have had anything doing, and its promotion of Nigeria and its many potentials and resources. It gives me joy today that as much as these bags are all over the world, anywhere you find them, you will found printed on them, “Le Look… made in Nigeria”. In the first place, why the choice of African prints for the bags? I have always known that most people did not like to wear it in the past. And I said; if you cannot wear it, then, at least, carry it. Carrying it has become a fad. When you first started, what was the acceptability of your initiative? People kicked against it, saying they preferred to use foreign-made products. They preferred to carry “Made in Italy”, “Made in Germany” among other foreign bags at that time. But we were quite resolute. We kept enlightening, kept pushing, letting them realise the need to patronise our own. Today, we have establishments, corporate bodies and schools that have been patronising us. We have been supplying our products to many groups and organisations. Today, we have bags specially designed for students of Kings College and Queens’ College, Lagos, amongst other schools. Some parents also ask us to supply bags, both within and outside Nigeria. Their idea is to make their children become acclimatised to their culture, because those bags you are seeing showcase our culture. How would you describe the entrepreneurial spirit of the Nigerian youth? It has been quite commendable in the last few years, as more youths have embraced entrepreneurial skills and the environment has improved a bit. The lack of employment in this system has made it mandatory for everybody to want to create and develop employment because government can no longer provide jobs for the teeming population. This is evident in today’s Nigeria and the consequence is that youths must rethink their focus about looking for jobs. Lack of employment has actually made many Nigerian youths and women rediscover themselves. Has there been patronage or support from the government? Yes, there has been some support, but the government agencies meant to offer us assistance are still demanding for things we cannot provide, such as exorbitant collaterals, which have remained tall orders. For me, I think your idea should serve as collateral. Your skill should stand as collateral but they do not factor that in. Are there no associations you belong to that serve as pressure groups on the government? I am a member of the Fashion Designers’ Association of Nigeria (FADAN) as well as African Women Entrepreneurship Programme (AWEP) USA, Women in Shipping and Trading (WISTA) Women in Logistics and Transport (WILAT) and Global Artisans Network, among others. Indeed, FADAN got a N1billion loan from government and we are trying to access that now. But even at that, there are conditions attached. Le Look can meet them but what about others? Banks have been given the opportunity to develop Small and Medium Scale Enterprises (SMEs) but they have not. They have SMEs policy that requires them to reserve 10 percent of their earning for the private sector to access, but how many people have accessed that? There is nothing like that. I make bold to say it is not there. It has been rough. Challenges are there. The greatest challenge is poor power supply. We run on generator all day. Even as we speak, we are running generating set. Imagine, 58 years of Nigeria’s nationhood and there is no adequate power supply. What are the materials being used for production that are sourced outside Nigeria? None. All are made in Nigeria. We are the one exporting. The market out there is quite excellent. In fact, they appreciate these things better than Nigerians. Germans love them. Parisians love them, so do Americans. Anytime they are doing anything at the American Embassy, Le Look is always invited. The Smithsonian Institute had come all the way from America to visit us and even handed me a medal. You spoke passionately about having Nigeria-made products sold to the outside world. 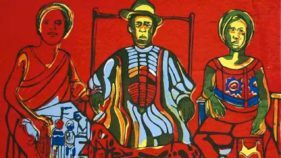 To what extent has your work been celebrated outside the shores of Nigeria? We have attended several trade fairs and exhibitions around the world and have made statements in fashion. 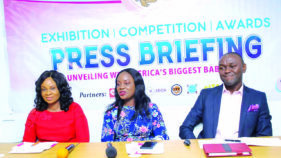 We were at trade mission/exhibitions in Washington, Atlanta, Detroit and Pittsburgh in 2013, trade fair/exhibition in Dubai, UAE in 2013, Nigeria-Canada Investment Conference /Exhibition Toronto in 2013, Lagos International Trade Fair, 2014, Ghana International Trade Fair, Accra 2014, Magic Fair at Las Vegas, among others. Though you started Le Look for your physically- challenged siblings, what was the driving force? The fear of poverty, the fear of the condition that the Civil War left us still haunts me. I knew the condition under which we lived. I didn’t want a repeat of that for anybody. Poverty is something to fear because it can lead to many evils. Again, I wanted to put food on so many tables. I want to be able to beat my chest that I tried my best while I lived; that I encouraged people through this work to put foods on their tables and train their children, and that is what I am doing. Style for me means that my body must not be exposed because I’m a very shy person. I don’t want anything that will draw attention to me. I like to be trendy. I like colours. I am in the fashion business and looking good is our business. Any time I travel overseas, people see my bag; they love it and ask where it is made. When I tell them Nigeria, they are surprised. Some of them would even offer to pay and collect the bag and I would agree. How did you come about the name Le Look? ‘Le look’ is a French word that means ‘The Look’. When I looked at my brother‘s circumstance, I felt that despite his challenges, he would be able to know what to do by merely looking at things. So I started calling him Le Look and so, the business was named after him really.